How are you doing? Hope you had a good start this year with some resolutions taken for the rest of the year. As you can see I am bit delayed in my resolution plan which was to be consistent with blogging. Lot of factors change the course of your well planned schedule, but end of the day there is no one else to blame for other than myself. I like things to be organic without any adulteration like facts are transparent and clear which I prefer than fake and the fabricated truth. So I am going to be honest here and accept my laziness as one of the factors for a delayed post. It's about time to start off with something simple yet got that rustic look which you may like to try at least once. 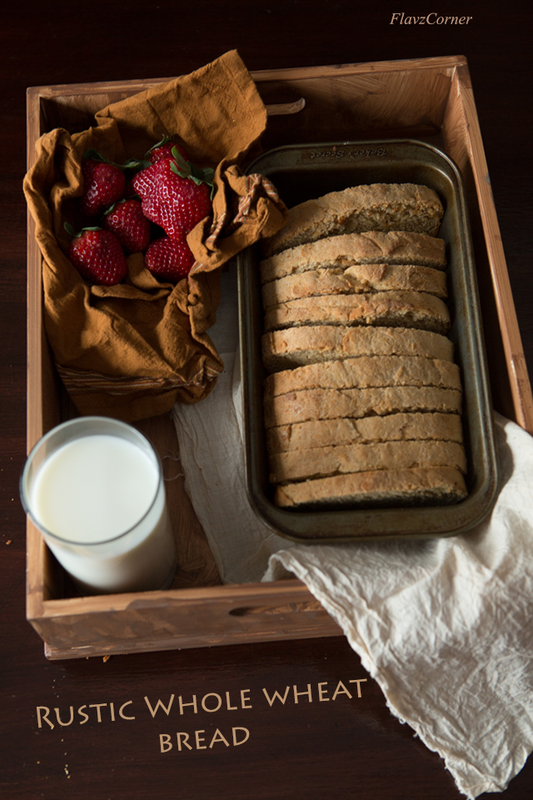 This Rustic Whole Wheat bread got the dense texture and nutty flavor. 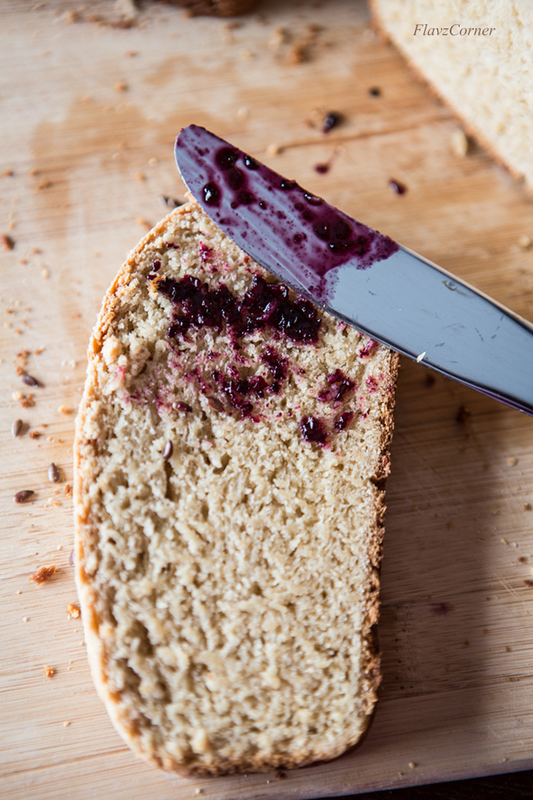 It can be used as breakfast bread with your favorite jelly/jam. Please note than this is not one of the sandwich breads that you get from the store that has the soft texture, it's pretty rustic in look, texture and taste. Dissolve yeast in 1 1/3 cup warm water and add yeast to it and set aside to activate. Add flour, salt, yeast mixture, honey, milk and melted butter into the mixing bowl of a stand mixer with dough hook attachment and knead for 5 minutes. 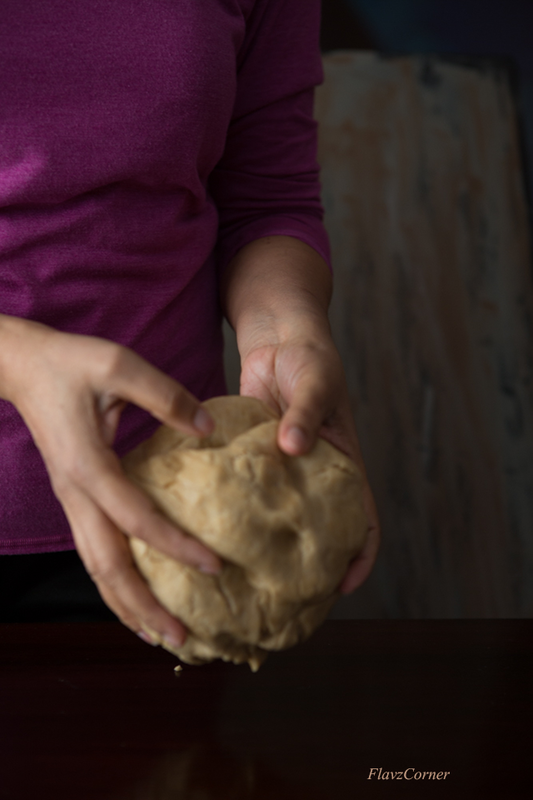 Or you can knead the dough using your hands till you get a tacky dough. Cover the dough with a kitchen towel and set in a warm place for an hour to rise. The dough will not be doubled, but will rise little bit and will spring back when pressed. Grease a 9x5'' loaf pan and keep aside. 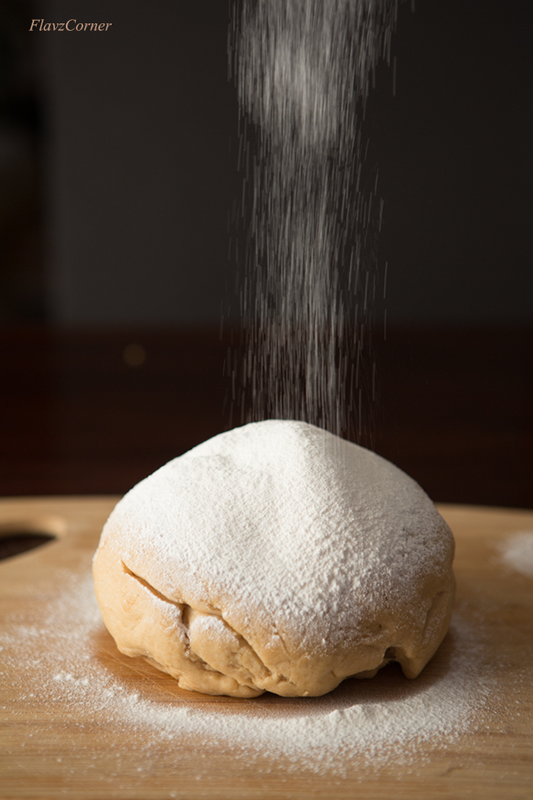 Punch down the air from the dough and knead for 30 seconds on a floured surface. Using your hands stretch the dough to a rectangle and roll the long side to form a log and pinch the seem sides together. Place the log shaped dough into the prepared pan and cover with the kitchen towel and keep it in a warm place to rise for the second time. It may take from 30 - 60 minutes to rise depending on the temperature where you live. Since this has whole wheat flour we are not looking for a dramatic rise of the dough. Sprinkle the flax seeds on top of the dough. Pre heat the oven to 350 F and the bake the bread for 40 to 45 minutes or till the top of the bread turns golden brown. Cool the bread on a wire rack and slice it and store in air tight container. Since this bread has got milk, it is preferable to keep the bread in refrigerator in a air tight container. You may have to warm the bread in microwave before serving. 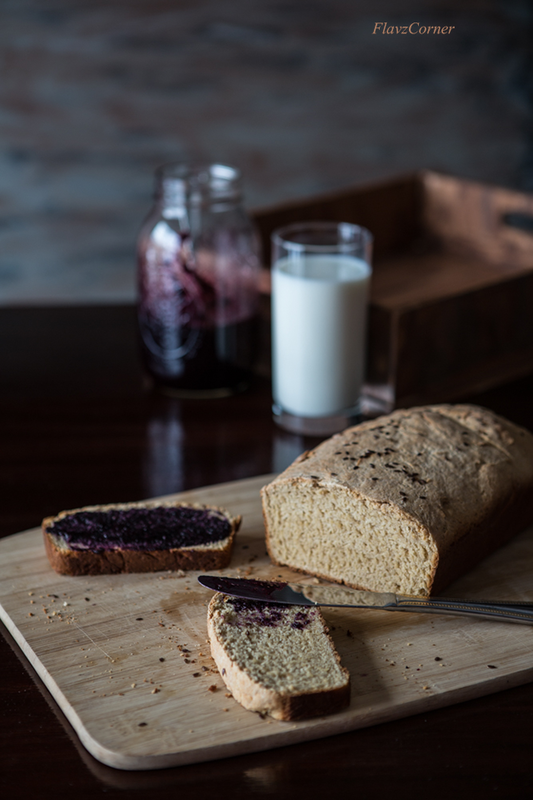 There's nothing like homemade bread, this is so beautifully rustic and delicious! Oh dear, that's a good looking loaf of bread. I am such a sucker for home made, love it. The dough pic is amazing. Nothing better then homemade bread, specially if it was made with whole wheat flour! Looks wonderful!